I am a New Orleans photographer who specializes in weddings, portraits, and other events throughout Louisiana and Mississippi. I began shooting professionally in 2005, and have photographed over 600 weddings, numerous other events, and many engagement and bridal portrait sessions. Photography is my full-time occupation, not a side-job, and weddings and other events represent the vast majority of my work. I also enjoy shooting family portraits and seniors. 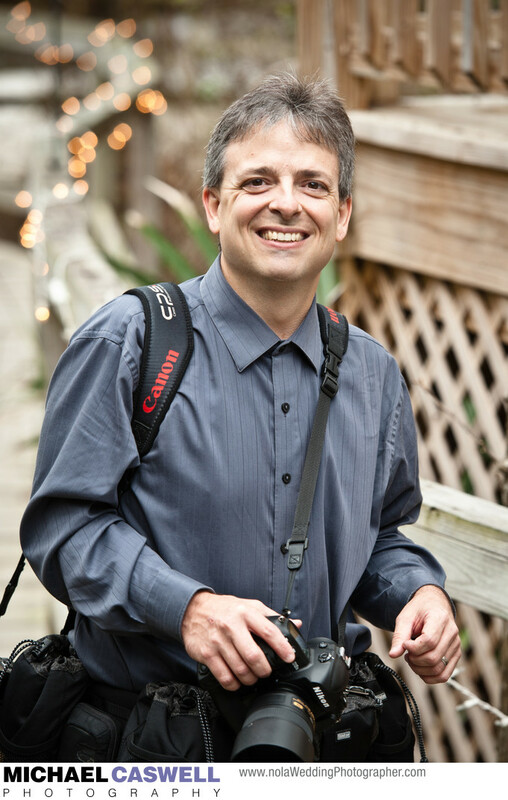 Before starting my photography business, I worked for over 12 years in the advertising graphics field, primarily performing imaging-related work such as graphic design, photo scanning, and photo color correction. This experience with digital imaging carried over into my photography work and enabled me to immediately be comfortable with the technical aspects of digital photography, making it easier to concentrate my efforts on creating beautiful pictures and wedding albums for my couples. I shoot primarily in a documentary style. Although I of course do the standard group formals and portraits of the bride and groom or couple, the bulk of my wedding day coverage consists of unobtrusively capturing the beauty, splendor, and emotion of your day. My style is not traditional, but also not excessively artsy or eccentric. My couples and their guests frequently tell me that they found me to be very easy and pleasant to work with. I'm located in Slidell, Louisiana, and though I've photographed events in Memphis, Minnesota, Los Angeles, Chicago, and Washington DC, I primarily work in southeast Louisiana (New Orleans, Northshore, Baton Rouge, Lafayette) and the Mississippi Gulf Coast. 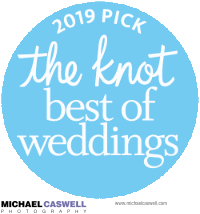 I've been a The Knot Best of Weddings award winner for the past six years in a row, and am a member of the Best of Weddings Hall of Fame. I currently shoot primarily with Sony cameras, though until 2009 I was a Canon shooter, and then shot Nikon until 2018. The photograph of me on this page was taken several years after switching to Nikon, but at the time I was still using the Canon Professional Services shoulder straps that I loved so much, until they wore out (shooting Nikon cameras with Canon straps confused a lot of photography savvy guests at weddings!). I'm a New Orleans area native, and have a fairly quiet, uncomplicated life. My wife and I have been married for over twenty years, and we have four kids, ranging in age from college to elementary school. I enjoy cycling (mostly road, and occasional mountain biking as well), though my favorite pastime is playing music... I love playing clarinet in a local community orchestra, and I currently serve on the organization's board of directors. I've also recently begun learning to play violin, and I have an affinity for lighthouses.